Species number 4 in my series to celebrate National dragonfly week. Today the banded demoiselle, Calopteyx splendens. 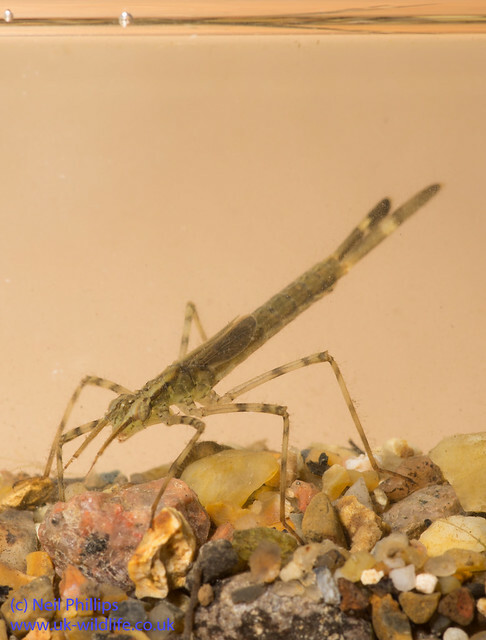 This species is usually found slow flowing rivers with muddy bottoms, but they can wander far from these habitats, I’ve seen them a long way from any flowing water. The male (photo above) is metallic blue with a blue band across the wing. The related beautiful demoiselle has completely blue wings. The female is metallic green with a green tint to wings (photo below). 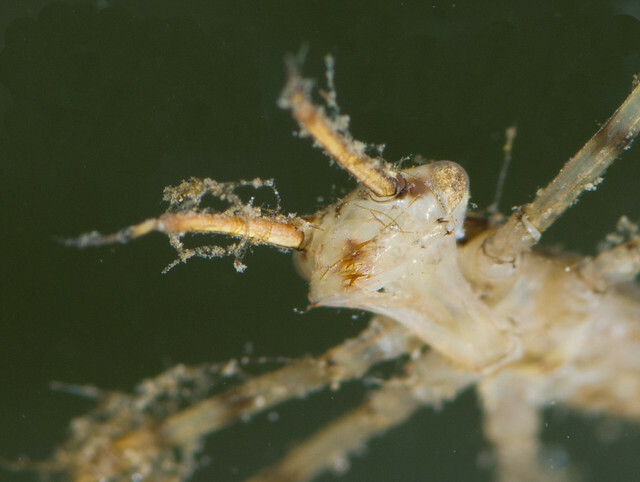 The larvae live in the plants and debris in the river and look rather alien like with their elongate form and long legs. The males have a wonderful courtship and territorial displays that involve lots of wing flapping and fluttering flight, but its not exactly easy to show in a photo, so you’ll have to go see it for yourself! 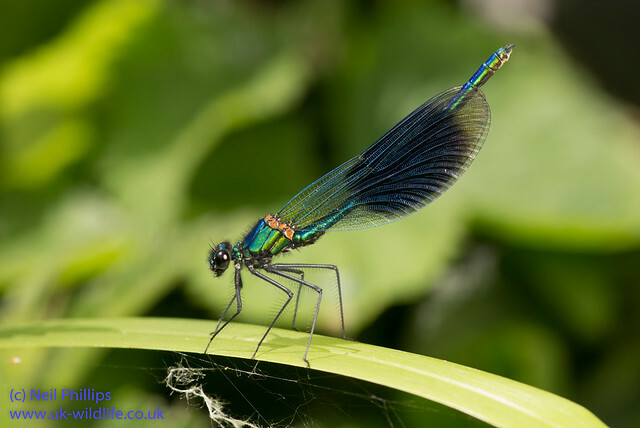 So get down to a muddy river between late May and Early August and enjoy the sight of sky dancing demoiselles.